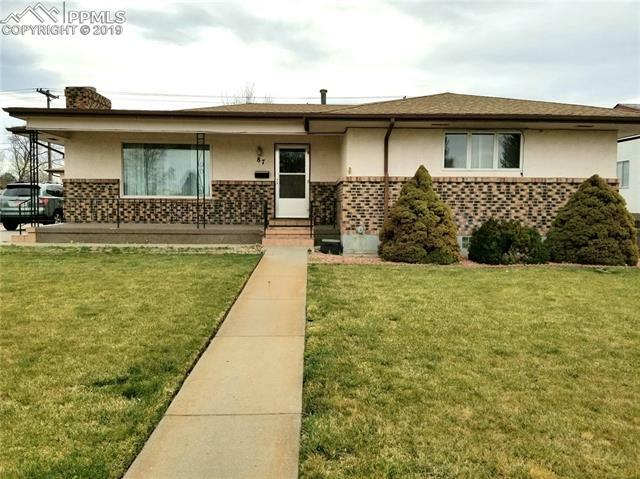 All Pueblo homes currently listed for sale in Pueblo as of 04/20/2019 are shown below. You can change the search criteria at any time by pressing the 'Change Search' button below. "BEARS HEAD RANCH * 1800 S RANCH HOME UPDATED & REMODELED, FURNISHED * INCREDIBLE SITE * 1520 ACRES IN THE MOUNTAINS WEST OF PUEBLO * EASY ACCESS FROM PUEBLO, COLORADO SPRINGS, CANON CITY * JUST MINUTES TO PUEBLO RESERVOIR * SURROUNDED BY BLM & NATIONAL FOREST LAND * 15 BUILDINGS * NUMEROUS CABINS WITH MULTIPLE BEDROOMS & BATHS * CARETAKERS HOME * 2 LARGE BARN S, SHOP, WORKSHOP, TACK ROOM, SILOS, STABLES * DANCE HALL / EVENT CENTER, GAME ROOM ATTACHED * STORAGE BUILDING * OUTDOOR POOL WITH CO"
"Beautiful, open, well maintained rancher on Walking Stick Golf Course! Open the door to breathtaking views of the city and mountains from the walls of beautiful windows! Home features 10ft ceilings with 15ft insets which adds to that open massive feeling! A great floor-plan for entertaining from the formal dining, open great room, wet bar and kitchen area that also opens to casual dining and a beautiful conversation room!" "Award winning builders own home, two lots w/walk-out basement; fenced w/beautiful landscaping. Mountain views, & beautiful sunsets. Interior three story open foyer. Formal dining w/custom crown molding, office w/French doors, core space opens to living area & kitchen areas. Kitchen features updated appliances, granite countertops, pantry, custom hickory cabinets, island w/bar seating, & eat-in area. Hardwood floors on main level; master bedroom w/two-way fireplace, 5-piece bath, walk-in closet. " "A Stunning Home Immaculately Maintained. In A Quiet Area At The End Of The Cul-De-Sac. Mountain Views. Backing To Undeveloped Open Range. Main Floor Master Suite, Formal Living Room And Formal Dining Room, Chef's Kitchen, Breakfast Area, Sun Room/Exercise Room And A Beautiful Family Room with Fireplace And Lots Of Windows. Sunny And Bright. Upstairs Has Two Bedrooms Both with Their Own Bathrooms AND A Loft Area." "King of the Hill! First Time on the Market! This is one of the areas finest estates! 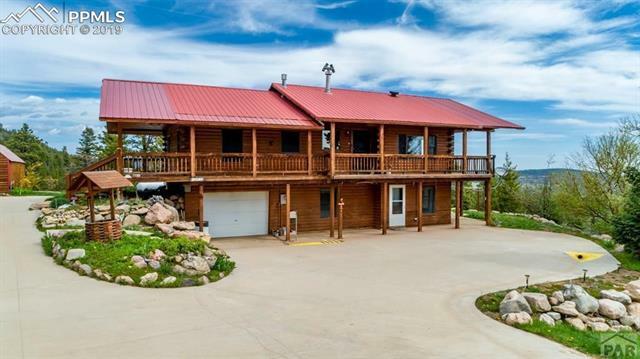 Beautiful Mountain Home located in Rye, Colorado offering unbelievable Panoramic Mountain Views! Private, yet not secluded. Easy access from the main road. 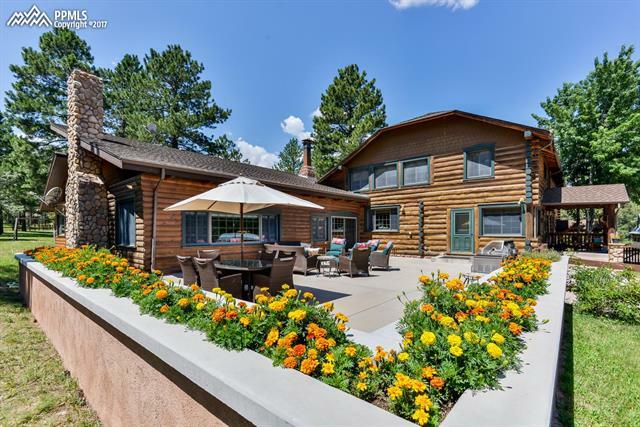 This stunning log home features 3 bedroom, 3 baths, 2 living rooms and 2 kitchens!!! Must see!! Wrap-around Deck and plenty of outdoor living space. 1 Car attached garage including a triple car detached garage!" "Beautiful luxury home nestled in the Enclave! This home is quality built and has attractive upgrades! There are hardwood and tile floors, custom blinds, gas log fireplace and central air. Home has an open layout and vaulted ceilings. There is a private master suite and 5-piece master bath. There is a formal dining area. The kitchen is perfectly designed for the gourmet chef in your family with a double oven, lovely cherry cabinets and granite countertops. Laundry is main level." 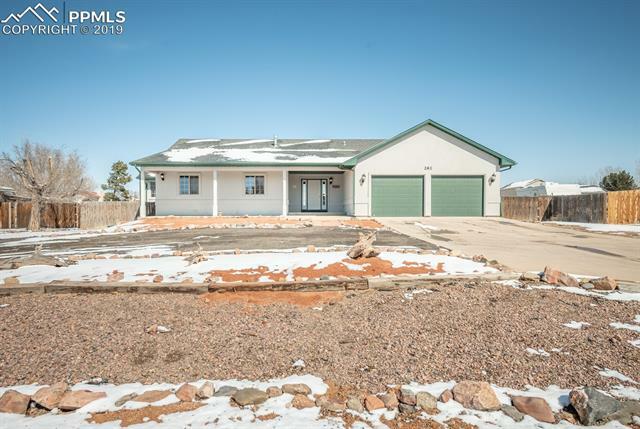 "Come see this spacious ranch home with beautiful mountain views located on 5.07 acres and includes an detached garage large enough to store an RV. 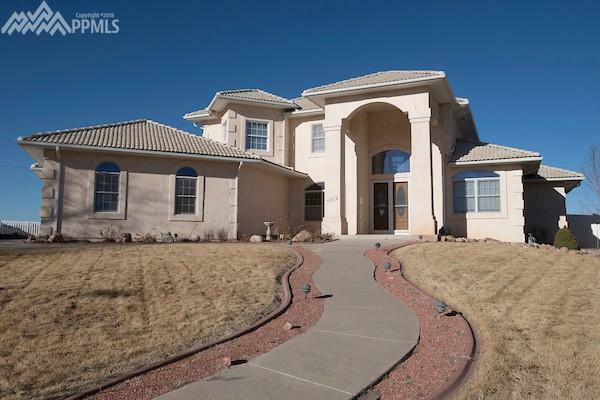 Easy access to I-25 and just minutes away from Pueblo. *4 bedroom *4 bath *metal roof *Enormous kitchen with island *main level laundry *all appliances included *finished walkout basement * large family room in basement with storage *kitchen in basement with refrigerator and microwave *2 car attached garage *Natural Gas"
"Welcome to this gorgeous ranch style home sitting on almost 40 acres of peace and quiet. 360 degree views. There is an open concept floor plan, which makes entertaining easy. Hardwood floor and tile throughout the home. There is a huge unfinished basement for a ton of possibilities for your family. Property has a well with a cistern holding tank for backup purpose only. 2 on demand water heaters. There are 2 rough ins for pellet stoves, 1 on each level." "Stunning home in El Camino with 2 bedrooms, office and 3 bathrooms. Beautiful hardwood and tile floors through living room, kitchen and dining room. Gas log fireplace at the center of the home in the living room for those cold nights. Great office with its own sliding door. Basement is partially finished with a family room. Patio in backyard is tiled and leads to fully fenced and landscaped back yard." "Check out these room sizes! 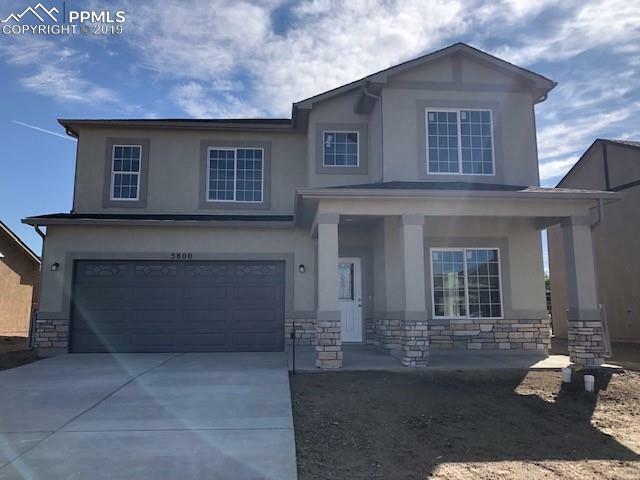 Main level has open floorplan with bright living room, large dining area and good sized kitchen with center island, granite countertops and built in desk area. New floor Luxury vinyl tile in the kitchen area, bathrooms and mudroom. Master bedroom has bath attached with jetted tub, separate shower and walk in closet. 2 more good sized bedrooms and a full bath are just down the hall." "NEW Home with plenty of space! Under construction estimated completion May 2019. Master suite features LARGE walk in closet and 5 piece master bathroom. Large rec room on upper level and the main level features separate living/dining area, and kitchen that opens up to the family room! Smooth cook-top range, dishwasher, and built-in microwave and large island! 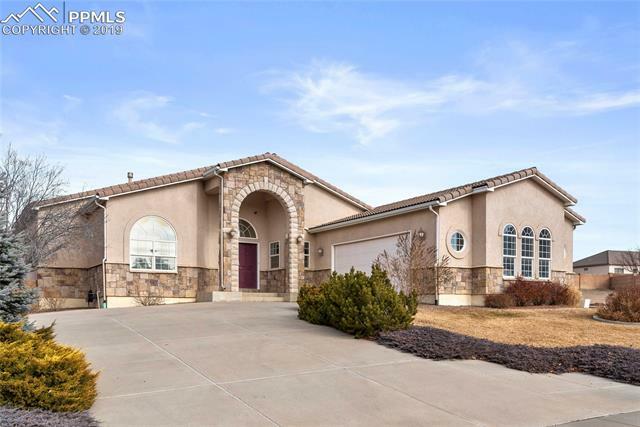 Beautiful Stucco and Stone Exterior in Sawyer Ridge! Get in today to select your colors on this home!" "Upper Belmont home that is located in a quiet Cul-De-Sac, backs to greenbelt w/a 4 car garage! 2 car attached garage & 2 car over sized detached garage with 220V! Performing schools! 2 story that checks all the boxes for a buyer! Only 1 neighbor, very private setting, Main floor offers a living and dining room, hardwood floors, large kitchen with a lot of cabinets & pantry, eating space, family room w/new tile, fireplace. 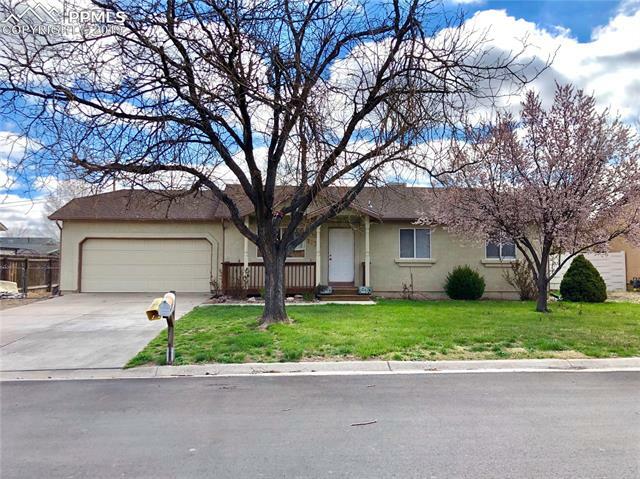 Upper level has 4 bedrooms, new carpet, remodeled full bath w/tile, remode"
"Located on a very private cul-de-sac, low traffic area. Great lay out, great condition. No work to do here ... just move in. Welcoming sitting room off of a comfortable living room with a gas log for those chilly winter nights. A large dinning area and open kitchen concept for entertaining. Main level laundry and a half bath down for easy living. All the bedrooms ar on the upper level for convenience and the master has a open deck, 5 piece bath with a jetted tub and walk in closet." "Be impressed with this clean El Camino home! 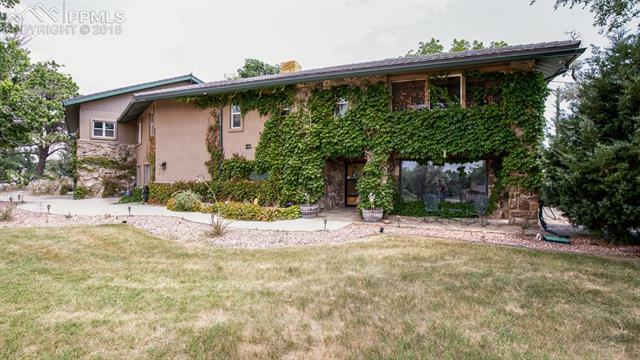 You will love the adobe looking exterior and mature landscape. With 3 bedrooms and 3 baths there is plenty of room for the growing family. You will love the open layout between the kitchen and dining room. There is a spacious living room with chiminea fireplace as well as a large family room in basement which could also be used as a 4th bedroom or game room." 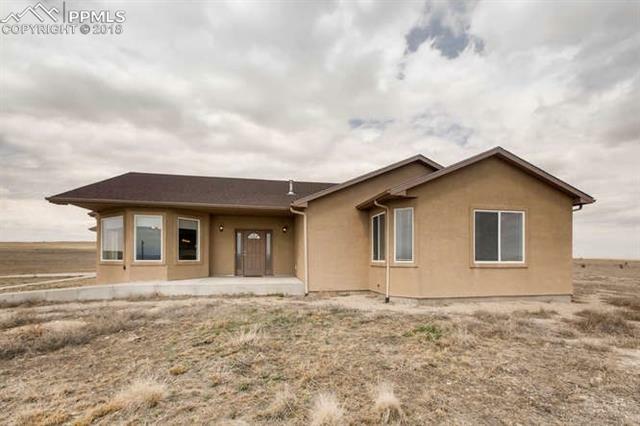 "WONDERFUL RANCH HOME IN PUEBLO COUNTY!! THIS HOME HAS 3 BEDROOMS WITH ROOM FOR A 4TH BEDROOM IN THE BASEMENT!! THE BASEMENT IS FINISHED WITH A LARGE FAMILY ROOM, A BATHROOM AND UTILITY ROOM!! THE UPSTAIRS HAS 3 BEDROOMS WITH 2 FULL BATH, A NICE SIZE LIVING ROOM AND KITCHEN. THE PATIO DOOR TAKES YOU OUT TO THE HUGE DECK AND BEAUTIFUL BACK YARD WITH MATURE TREES!! THIS HOME FEATURES VAULTED CEILINGS AND AN OPEN FLOOR PLAN!!" "NEW Floor plan under construction! 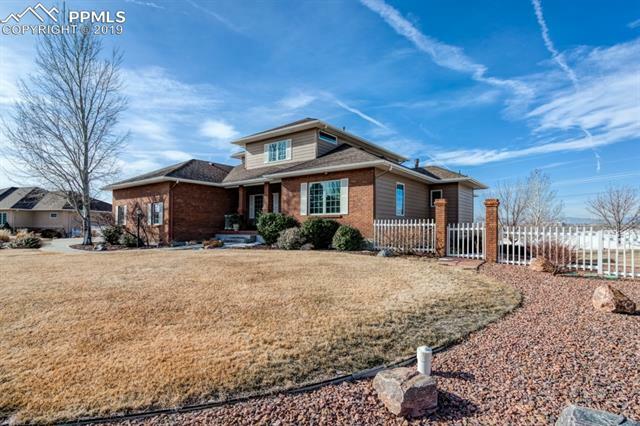 Open rancher with flowing hardwood floors. Kitchen island, large pantry! Master bedroom with master bath suite with double vanity, walk in shower and soaker tub! Laundry room off garage, Large 2 car garage and covered patio. Located on cul-de-sac in Sawyer Ridge! Get in today and pick your colors for this home. Estimated completion May/June 2019." 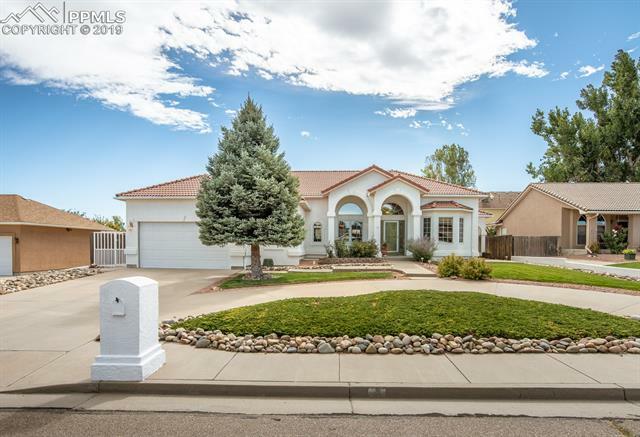 "This is a beautiful, move in ready home that is in a stellar location. Just walking distance from the park and golf course. It is very spacious with a complete basement that allows for many options. This home is also complete with a large two car garage and a very generous patio and backyard space. This is the perfect home for any occasion." "This could be your next home!! This renovated rancher sits in the heart of the established neighborhood of Sunset Park! It has an attractive stucco exterior with brick accents and a front covered porch. Enjoy the lovely hardwood floors, new paint, ceiling fans and central air. The kitchen is just what you've been looking for with granite countertops, track lighting, stainless steel appliances and trendy white washed cabinets! The living room is spacious and leads into the quaint dining area." "This is the one you have been waiting for! 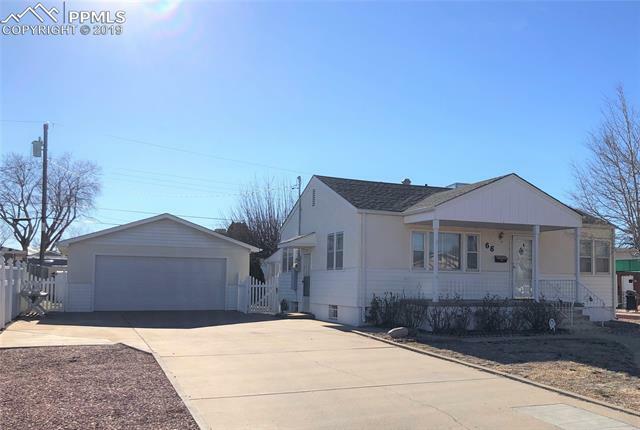 This home sits on a large corner lot on the north side of Pueblo, Easy commute to Springs, Main level has a large living room with a half bath perfect for guests to use. A kitchen that opens to the dining room with a breakfast bar has stainless steel appliances and a separate pantry. Sliding glass door leads out to large deck for indoor/outdoor entertaining." "Sunset Park home in move-in condition. Plenty of living space with a formal living room with beautiful wood flooring and a large, bright and beautiful sun room off the kitchen with tile flooring. There is also a family room in the finished basement. The kitchen and baths have been updated. There is a possible 4th bedroom in the basement that can be used for storage as well. The 3rd bedroom has an extra sink and counter area that a teenager would love, and could also be used as a bar off the base"
"Welcome to Paradise in Pueblo ! Get ready to call the most inviting home on the block YOURS! This 3 bedroom, 2 bathroom Turn of the Century gem has been meticulously maintained to exemplify pride in home ownership, and has timeless features you can treasure for years to come. Upon arriving you are greeted with the lush lawn of this large corner lot adorned with beautiful floral trees, and landscaping. This is a home you will want to spend all of your time at."